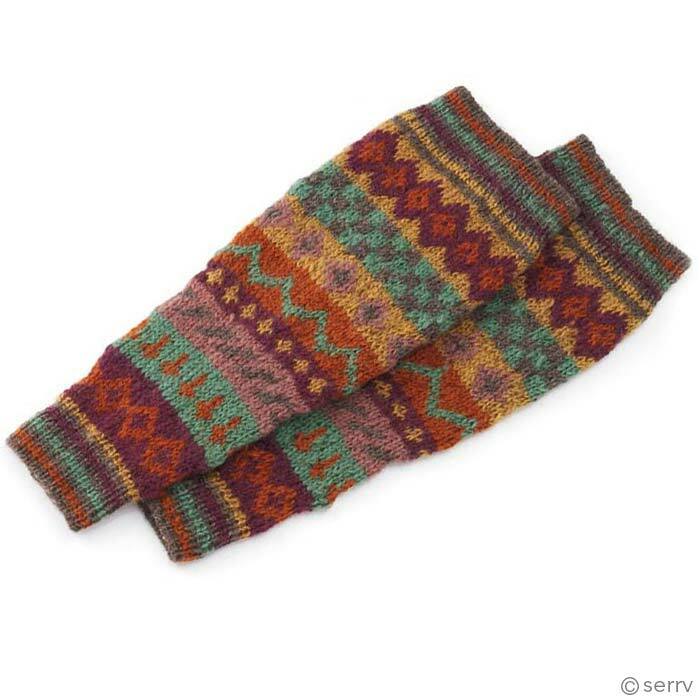 These are beautiful, well made leg warmers. They are warm and cozy and fit well--not too tight and not falling down (for size reference, I am 5'2", 120 lbs, and these could go over my knees but I scrunch them down). These leg warmers are my ideal when its really cold: bright beautiful yarn in an engaging, very happy pattern. I once had a pair similar that I somehow lost, and was delighted to find these treasures to replace them. Perfect over leggings, jeans or with skirts. Very ... earthy. Love them. I love these leg warmers! They are beautifully crafted and accomplish their task quite well; i.e., keeping my lower legs warm in cold weather. 5 stars! !